Transfer photos from iPhone or iPad to PC and Mac with ease. Photo Transfer app is the only app in App Store that transfers your photos wirelessly without the need for a web browser or additional software on your Mac or PC. Once you start the Photo Transfer app on your device, it will immediately show up in your Mac Finder or Windows File Explorer as a network device. You can simply copy photos in the same way you copy files on your computer. There is no need for a USB cable or extra software. Just connect to your home WiFi network or create a personal hotspot. 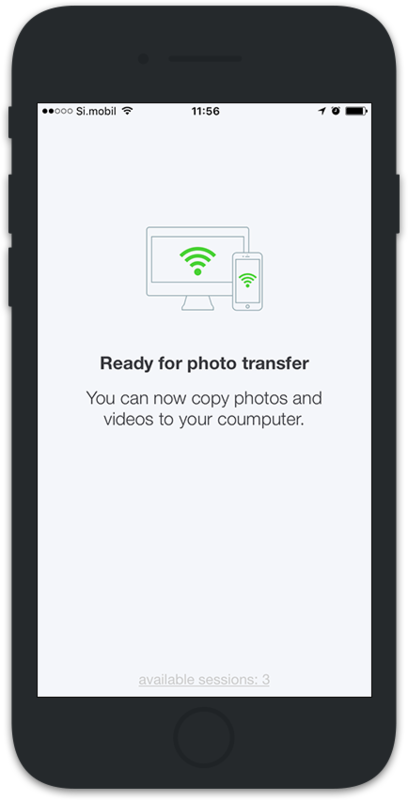 Photo Transfer is super fast and simple to use, with built in security authorisation so nobody else can see your photos.